In America’s Cleanest City, you can imagine having to dispose of old mattresses or old furniture could be tricky. The truth is, removing it yourself is difficult, but hiring a responsible and green mattress removal company to do it for you makes the headache slip away. So, why not seek help when it comes to Miami mattress disposal and book Mattress Disposal Plus to remove it for you. Rely on Mattress Disposal Plus – a name you can trust for fast, friendly and secure Miami Mattress Disposal. Are you planning to move in the Miami area? Then perhaps, it’s time to consider getting help moving your old mattresses, box springs and used furniture to make room for the new. 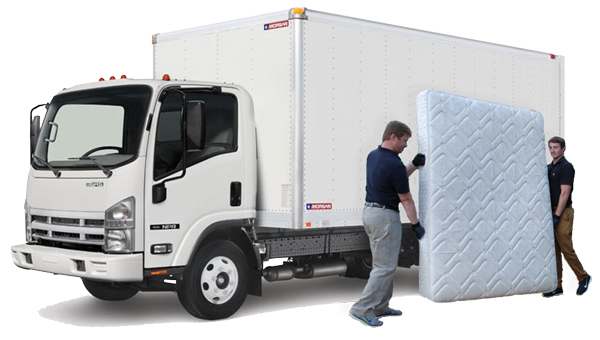 Hire a professional hauler to help you out with mattress disposal in Miami. One of the first steps towards living a greener and more sustainable lifestyle is by first disposing and recycling items that we either do not need or can no longer use. However, furniture and mattresses are harder to dispose of than other items and are major hazards to the environment if they are not removed the right way. Mattress Disposal Plus specializes in recycling and disposing of used mattresses and other furniture. Call (877) 708-8329 or Book Online to schedule Miami mattress disposal today. Is there an infestation of bed bugs in your mattresses and you need Miami mattress disposal and Miami mattress removal? Mattress Disposal Plus is here to cater to your various needs with our high quality and efficient services. With the weather conditions in Miami, it cannot be avoided that some mattresses end up in bad conditions and this is why it is necessary to keep a Miami bed disposal service handy. We can help you out with Miami mattress recycling and Miami furniture removal. All you need to do is give us a call or book online. If you are looking for convenient and easy mattress and furniture removal that is kind to both the environment and your wallet, contact Mattress Disposal Plus. We can help with all of your Miami mattress disposal needs. No need to turn to other companies because customer satisfaction is our main aim. We provide the best old furniture and old mattresses removal deals and services to all areas in Miami including but not limited to Downtown Miami, Biscayne Bay, Coral Way, Coconut Grove, Midtown, Little Havana and Wynwood. There are a lot of great things about living in Miami. The city is known for its beach and spring break lifestyle because of the year round warm weather. The city is full of cultural restaurants and a vibrant lifestyle that has grown to become one of most visited cities in the United States. However, big city living can be difficult too—especially when it comes to moving or disposing of mattresses and large furniture.